Be fully prepared to watch the Seahawks and Patriots square off at your Super Bowl party with these high tech gadgets. NEW YORK (MainStreet) - There are few events that cannot be improved by slathering on an additional layer of technology, and the Super Bowl is no exception. Whether it's watching the game on February 1 on an even wider, higher resolution screen or being able to produce the perfect tailgating experience in your home without missing a minute of the game, technology is there to help. Starting with the focal point of the whole event, the TV, there are essentially two ways to go: super extravagant or moderately priced. While money certainly plays its part in the decision, image resolution is also involved. 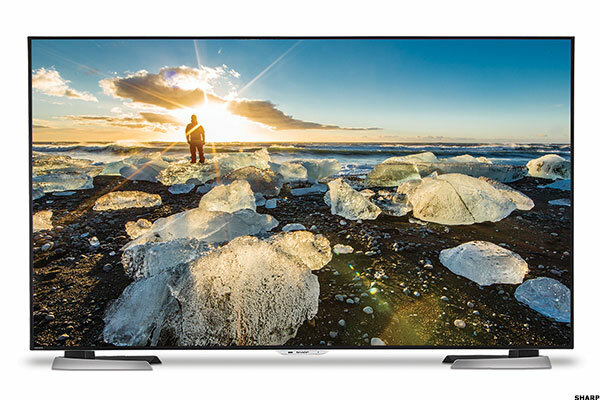 For those with a few extra dollars to spend or more room on their credit card there are the newer 4K Ultra HD TVs, while 1080p HD versions will cost much less. There is an odd twist with 4K TV. These models deliver an on-screen image containing 8 million pixels, twice what 1080p offers. However, for this higher magnitude of resolution to be fully enjoyed, the program has to be broadcast in 4K, which the Super Bowl is not. However, 4K models are able to improve the 1080 signal that will be broadcast, so the viewer will end up seeing a higher definition picture. "4K TVs today provide in picture quality benefits beyond the increase in resolution," said Mark Viken, marketing vice president at Sharp. "Most sets from top manufacturers will feature built-in upscalers, an important feature to consider when making your purchase decision." An upscaler is a powerful image processor that fine-tunes the original signal for peak picture quality and analyzes and enhances the content to create a 4K Ultra HD image. Sharp is running a Super Bowl special on its 60-inch AQUOS 4K Ultra HD TV (LC-60UD27), available for $1,999, $1,200 off the regular price. Samsung also has deals at Best Buy with a curved 55-inch going for $1,499 and a 60-inch curved for $2,199. At the 1080p level, one can buy more screen real estate for much less. On Amazon, Sharp has a 60-inch for $717, and the smaller the screen, the lower the price. The other important ingredient in any Super Bowl party is food for both before and during the game. There is a multitude of gadgets available that will keep the host in front of the TV and not the oven. 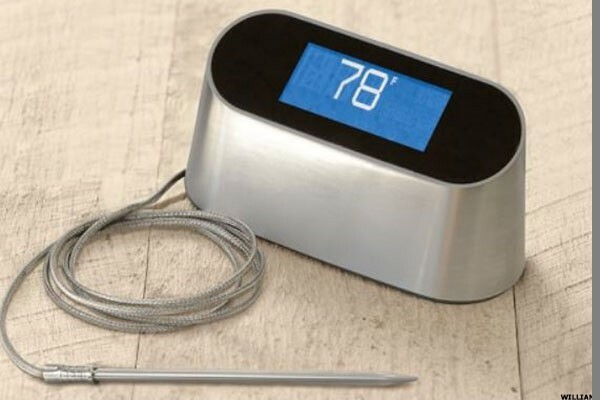 For those folks cooking up a slab of meat, a wireless thermometer will allow you to keep an eye on the food's progress via a small remote that displays the food's internal temperature. These simple-to-use devices start at around $20 and top out around $70. A long, metal probe goes into the meat and is attached to a transmitter by a wire which then sends a signal via RF to the remote. The wire is thin enough that it doesn't keep the oven door or BBQ lid open. For cooks who want to step up their geek level, there are Wi-Fi versions, such as the $199 Williams and Sonoma Smart Thermometer. This model uses the same set up, but it sends the temperature to an app on your smartphone. 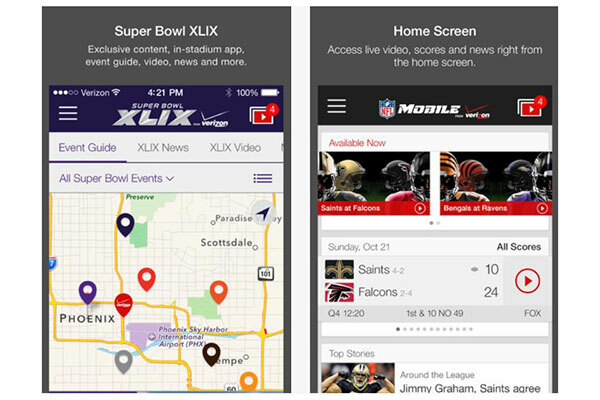 If for some reason sitting in front of a TV is not an option, there are two ways to catch the action wirelessly: the NFL Mobile app for smartphones, and NBC will live stream the game for people using tablets and computers. Because Verizon has an exclusive agreement with the NFL, only its customers will be able to watch on their phone; even those folks will have to step up from the free app and buy the $5 Premium NFL Mobile subscription. NBC's live stream will go live at 9 a.m. on the East Coast. Tablet users do have to download the NBC sports app. There are also gadgets in case disaster strikes and the person assigned to bring the beer to the party forgets to put it in the fridge. Luckily there are (almost) instant beer chillers available. The low tech versions are similar to the Beer Chiller Stick. These reusable devices cost $20.95 a pair and are themselves kept frozen, then placed inside the beer bottle to ensure that even the last drop is cold. 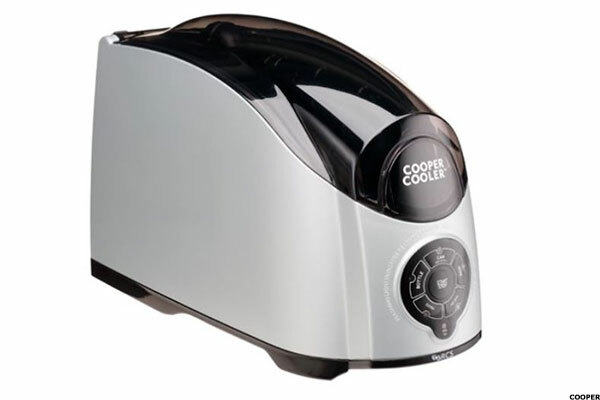 Then there are devices like the Cooper Cooler Rapid Beverage Chiller. The Chiller can cool a can of beer in about 1 minute while bottles take 3 minutes. A bottle of wine requires 6 minutes inside the Chiller. The neat part is how it works. The $79.99 device is filled with ice and then rotates the beverage container while it sprays them with ice water. It turns off automatically when finished and has an indicator light for when more ice is needed.